The Innocents Abroad comprises Volumes 1 and 2 of the Gabriel Wells Definitive Edition of Mark Twain's works. The Appreciation was written by Edward Verrall Lucas. Edward Verrall Lucas was a noted British essayist known for his travel essays. Throughout his career he had worked on the Pall Mall Gazette, the London Globe, and contributed to Punch. Lucas met Clemens only once -- in London at a dinner hosted in Clemens's behalf on July 9, 1907. In 1920 Lucas wrote a series of articles for the London Times on Americans. 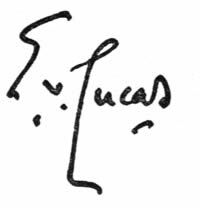 Lucas's reputation as a clever writer of travel essays made him a likely choice to write the "Appreciation" for Mark Twain's The Innocents Abroad. BEFORE The Innocents Abroad was published in 1869 its author had to his name but one book, The Celebrated Jumping Frog, and a sound record of vigorous miscellaneous journalism, of which that book was the flower. Mark Twain never did a wiser thing than when he decided to become one of the party of tourists who, at 1250 dollars inclusive, were to travel to Europe and the Holy Land in the Quaker City steamboat in 1867; for the material which the journey put into his hands, and the education it provided, made him. Never can an opportunity have been grasped with more purpose. And, I suspect, rarely have a man's friends been more surprised than by the way in which this exceedingly casual ex-pilot and ex-miner grasped it and used it. Mark Twain all his life was inquiring into things for himself, disturbing conventions, breaking out in new places, but he was never such an innovator or rebel as in The Innocents Abroad. It was a new thing in literature: the first travel book to look at the world without prejudice, to have no preconceived notions. All earlier travellers to Italy had approached the Old Masters with veneration, all earlier travellers in the Holy Land had trodden on tiptoe and spoken in whispers. One or two of them are quoted in these pages. But Mark Twain came to his task of observing and recording with no one's eyes but his own, and with a mind of unequalled openness. The result was a work of unflagging freshness, every word of which was interesting and (in spite of all those who have since grown the flower) is still interesting. Readers might be surprised, shocked, even pained; but they had to read. And as often as they brought the charge of irreverence they had to withdraw it, for the sincerity of the writer was so apparent, and so apparent his fidelity to the angels which he never lost throughout his long and not too happy career. The Innocents Abroad, if it had no direct ancestor -- although Kinglake's Eothen was possibly related -- was succeeded by countless progeny. One might almost say that it revolutionised the travel book. Certainly it set all later travellers wondering if many incidents that, in the days before it, they would have passed over as too trivial or too much off the track, might not, after all, be worth recording; it made them more human, more catholic in their interests, more embracive in their outlook. The result was a general increase of alertness, which has persisted. it projected him into older civilisations, it brought him into contact with new people: in short, it re-fired his ambition. We can tell, beneath his veneer of languor and whimsical cynicism and doubt, how seriously he took his task by the care with which it is done, the sheer hard work of it, the pursuit of the most telling word. For a lazy man it is a triumph; but Mark Twain, I suspect, was lazy only on the surface. THIS first entry in Mark Twain's Quaker City note-book was a momentous one. It was the land-mark behind which lay his thirty-one years of typesetting, piloting, mining, and journalism, while ahead stretched the long path of literary glory. The note was important in another way, for it began a new chapter in ocean voyaging. No such thing as the sailing of a great steamship (great for those days) with a mere excursion party on a long transatlantic voyage had occurred before. A similar project had been undertaken the previous year, but owing to a cholera scare in the East had been abandoned. The idea was so unusual, indeed, that it was not easy to find passengers to join in the venture. Some who had agreed to go canceled their booking before sailing-day -- among them Rev. Henry Ward Beecher and Gen. William T. Sherman. But there were sixty-seven who assembled that long-ago June morning, and they were a fortunate company that had the snug vessel all to themselves for that first, far-ocean gypsying. They were a light-hearted, happy company as a whole; not all sober, elderly ministers and deacons, as one might gather from Mark Twain's humor, but genial and congenial spirits-cultured persons mainly-just the sort of company that would benefit Mark Twain at this transition period of his career. There was Daniel Slote, his room-mate ("Dan" of the Innocents), a young fellow of fine New York family; Dr. A. Reeve Jackson, of Pennsylvania ("The Doctor"); Jack Van Nostrand ("Jack"), a happy-hearted lad from New Jersey; Julius Moulton, of St. Louis ("Moult"); Moses S. Beech, of the New York Sun, and his daughter Emma (later Mrs. Abbott H. Thayer); and there was Charles J. Langdon, a boy of eighteen, from Elmira, New York, whose sister would one day become Samuel Clemens's wife. One afternoon I saw him tearing up a bunch of the soft white paper -- copy-paper -- on which he had written something -- and throwing the fragments into the Mediterranean. I inquired of him why he cast away the fruits of his labor in that manner. "Well," he drawled, "Mrs. Fairbanks thinks it oughtn't to be printed, and, like as not, she is right." "Mark was generally writing, and he was glum. He would write what we were doing, and I would write poetry, and he would say, 'For heaven's sake, Cutter, keep your poems to yourself.' Yes, Mark was pretty glum, and he was generally writing." We may believe that Mark Twain learned to be glum when he saw the "lariat" approaching with his sheaf of rhymes; we may believe, too, that he was generally writing. He contributed fifty-three letters to the Alta California during the five months of the voyage, and six to the New York Tribune. These letters would average about two columns non-pareil each; which is to say four thousand words, or something like two hundred and fifty thousand words in all. To turn out an average of fifteen hundred words a day, with continuous sight-seeing besides, one must be "generally writing" during any odd intervals. We need not review here the story of the pilgrimage; the book itself does that faithfully. But we may identify a few companions of the more important adventures. It was Dr. Jackson, Col. W. R. Denny, of Virginia, and Dr. G. B. Birch, of Ohio, who, with Clemens, evaded the quarantine, and made the perilous night trip to Athens, to look upon the Parthenon and the sleeping city by moonlight. It was Mark Twain himself who wrote the address to the Emperor of Russia, beginning with the sentence which in time he grew so weary of hearing. They invited him also to read the address to the Emperor, but he pointed out that the American consul was the proper person for that office. It was Colonel Denny, Dr. W. F. Church, of Cincinnati, and J. W. Davis, of New York City, who, with "Jack," "Dan," "Moult," and "Mark," made the long trip through Syria with their gaudy camping-outfit and decrepit nags. The Quaker City returned to America on November 19, 1867, and Mark Twain found himself, if not famous, at least in very wide repute. The fifty-three letters to the Alta and the half-dozen to the Tribune had carried his celebrity into every corner of the states and territories. Vivid, fearless, full of fresh color, humor, poetry, they came as a revelation to a public weary of the driveling stream of travel letters of that period; they preached a new gospel in travel literature -- a gospel of seeing with an overflowing honesty; a gospel of sincerity in according praise to whatever seemed genuine, and ridicule to the things considered shams. It was a gospel that Mark Twain would continue to preach during his whole career. It became his chief literary message to the world -- a message which the world would welcome. Among those who read and found delight in the Tribune letters was Elisha Bliss, Jr., of the American Publishing Company, Hartford. Bliss saw in them the making of a popular subscription volume, and immediately wrote to the author, asking him to prepare the letters for a book. Clemens had located in Washington, and undertook the work there, but presently sailed for the more congenial climate of San Francisco, where he not only wrote but lectured, returning in July (1868) with the completed manuscript. The following winter he lectured again, with great success. In February he became engaged to Miss Olivia Langdon, sister of his Quaker City shipmate, and that spring, in Elmira, they read the final proofs of the new book. The woman who was to become his wife thus became also his editor, and so remained until her death, thirty-five years later. The reading world owes a debt of gratitude to Mark Twain's wife, who, from the very beginning, inspired him to give the world only his worthiest, and supplied that discrimination which genius nearly always lacks. The Innocents Abroad, or the New Pilgrim's Progress, published July 20, 1869, carried Mark Twain's fame literally to the ends of the earth. In an incredibly short time it was being read in nearly all lands, and its author had a fame that seemed to have sprung up by magic. Thirty-one thousand copies were sold in a year, and by the end of the third year more than one hundred thousand copies had been sold. It was a book of travel; its lowest price was three dollars and fifty cents. No such record had been made by a book of that description; none has equaled it since. It was also a very daring book. Passages of it were calculated to take the breath of the orthodox reader of that time, only somehow it made him smile, too. It was always so good-natured, so happily sincere. It has been called the greatest book of travel, and it certainly would be difficult to name a greater one. No other can equal it in charm. There is a romance of touch, a subtle something which is idyllic in the tale of the little company that so long ago sailed away to the harbors of their illusions beyond the sea and wandered together among palaces and galleries, among the tombs of the saints, and down through ancient lands. There is an atmosphere about it all, a dreamlike quality, which lies somewhere in the telling, it may be, or in the tale. At all events it is there, and the world has felt it ever since. Perhaps it could be defined in a single word: perhaps that word would be "Youth." The Innocents Abroad is divided into two books in the Gabriel Wells Definitive Edition. This division is identical to the division utilized for the 1899 uniform editions first issued by American Publishing Company. Volume 1 ends with Chapter 27. Volume 2 begins with new chapter numbering and what was once Chapter 28 from the first edition is Chapter 1 of Volume 2. 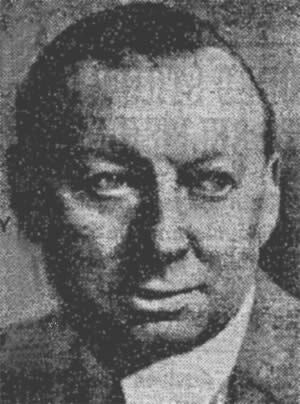 "Edward Lucas, 70, British Essayist," The New York Times, 27 June 1938, p. 17. Lucas, E. V. "E. V. Lucas and Twain at a 'Punch Dinner,'" London Bookman (June 1910), pp. 16 - 19. Reprinted in Twain in His Own Time, Gary Scharnhorst, ed., (University of Iowa Press, 2010), pp. 285-286.